You have a choice of two lovely heated pools. 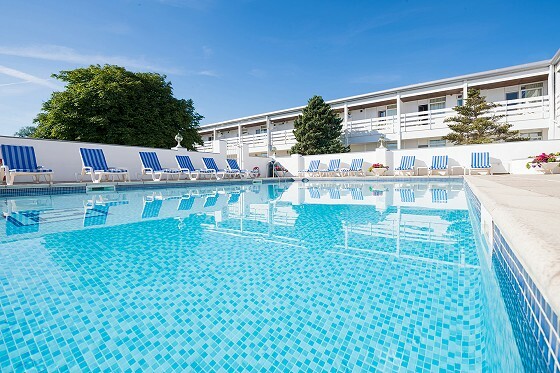 The outdoor pool is the only heated outdoor swimming pool in North Devon. Open between April and October, the pool is heated to a constant 31 degrees Celsius, so it is always delightful, even on cooler days. Surrounded by sun loungers, and adjoining manicured lawns, the outdoor pool area is perfect for sunbathing in summer. The heated indoor pool is spacious and attractive. Surrounded by comfortable sun loungers where you can relax in style, the indoor pool is open every day from 7am to 9.30pm, so you can enjoy a refreshing dip whenever you choose.